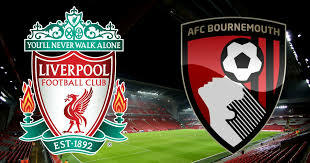 Looking to return at the top of the league, Liverpool welcome Bournemouth in a game from the 26th round of the Premier League. Let’s take a look at this fixture at the Anfield. During the week Liverpool got down to second place, because Manchester City celebrated a win against Everton at the Goodison Park. Now both teams have the same amount of points – 62, but City have a better goal difference. Of course, Liverpool remain with a game in hand. And if they win against Bournemouth, they will return on top. The Reds are having some problems lately. Liverpool won just 2 points from their last two matches, doing two consecutive draws against Leicester City and West Ham. This is not what the manager Jurgen Klopp and his players hoped for. But now they don’t have any other choice – they have to react. The visit to West Ham at the London Stadium ended with a 1-1 draw. Sadio Mane opened the score for Liverpool, but Michail Antonio equalised for the Hammers. In the second half there were no goals, which allowed West Ham to steal a point from one of the contenders for the title. Meanwhile Bournemouth are 10th in the league with 33 points. The Cherries crushed Chelsea with 4-0 at home, but in the next game they suffered a 0-2 defeat against Cardiff City away from home. Eddie Howe and the fans probably hoped for a better consistency, especially after beating Chelsea in such a way. Things just didn’t work out for Bournemouth against Cardiff City. The Welsh team won the game with 2-0, thanks to a brace from Bobby Reid. Of course, Liverpool are the favourites against Bournemouth, especially at home. But have it in mind that the Reds were unable to win their last two games.